These days, dishwashers come with a wide variety of options, such as water, temperature, soil and time sensors, sanitized wash, specific cycles for types of cookware, automatic start and delay timer, LCD display and control panel, quiet operation, and quick rinse or delicate cycles. 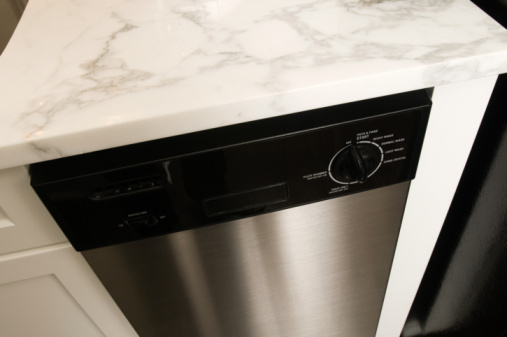 However, even with the most sophisticated options, sometimes dishwashers require maintenance or troubleshooting. Once this has been done, the dishwasher occasionally needs to be reset in order to restore the dishwasher to proper function. Many dishwashers need to be reset to restore proper function. Restore power and select a new wash cycle. Press or select "Start" to begin washing. Try pressing "Heated Dry" followed by "Normal Wash" followed by "Heated Dry" followed by "Normal Wash" and then "Cancel" on certain Kenmore models if the preceding steps do not resolve the issue. Press "Hi Temp" and then "Heated Dry" to reset certain Whirlpool dishwashers if the preceding steps do not resolve the problem. Press "Start/Resume" twice and close the door firmly on certain Maytag dishwashers to reset if the preceding steps do not resolve the problem.